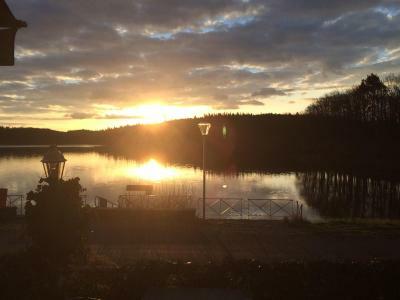 Lock in a great price for Logis Hotel du Lac – rated 8.4 by recent guests! 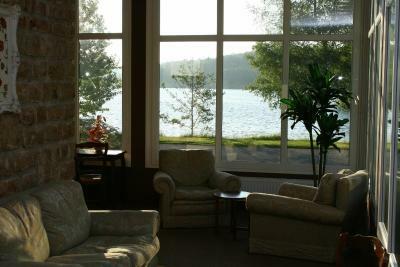 Large, comfortable rooms with balcony and fantastic view of lake and mountains. Away from touristy hustle and bustle, Bonigen is full of authentic wooden Swiss homes with incredibly neat gardens. Had a delicious meal at a restaurant around the corner, with true Swiss cooking. Delightful, despite the drizzle and jet lag! The peace and quiet of the lakeside location was lovely. The view from the bedroom was beautiful. The staff were very pleasant and helpful. The bed was very comfortable. Pleasantly surprised when we arrived! Owners Greeted us at front desk and walked us to our rooms! Wonderful place and exceptional staff! 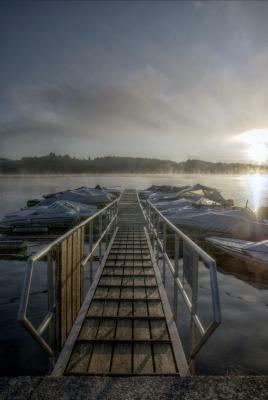 Vue superbe sur le lac. Literie confortable. Petit déjeuner copieux. 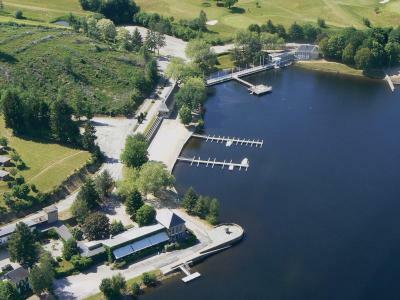 Located between Brive-la-Gaillarde and Clermont-Ferrand, this Logis hotel is next to Lake Triouzoune. 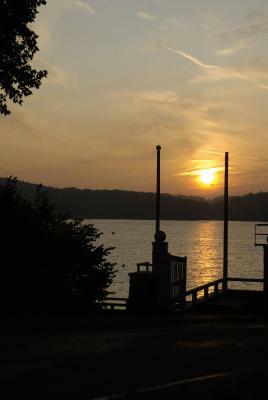 It offers rooms with a flat-screen TV, a private bathroom and a balcony overlooking the lake. 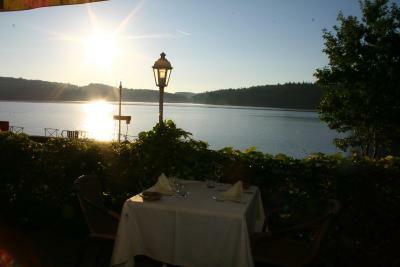 Hotel Du Lac’s restaurant serves regional cuisine and has a terrace which offers views of the lake. 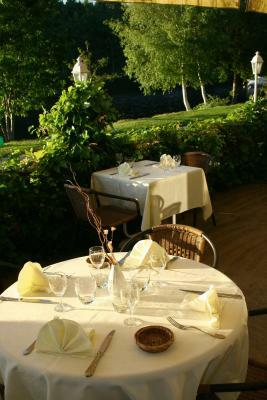 Guests are also invited to enjoy a meal at La Guinguette, the hotel’s brasserie which is located next to the lake. Hotel Du Lac offers free parking and is just 1.2 mi from the village of Neuvic. 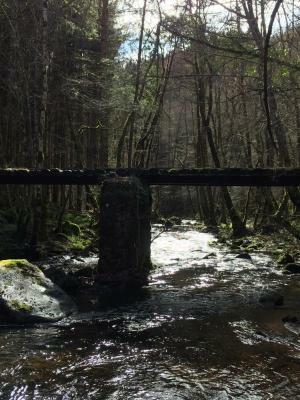 It is an ideal base for exploring the Corrèze and Limousin regions. 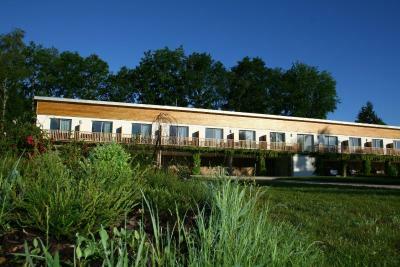 When would you like to stay at Logis Hotel du Lac? Features a king-size bed and offers views of the lake from the balcony. Includes free Wi-Fi and an LCD TV. Offers a view of the lake from the balcony. Includes free Wi-Fi access and a flat-screen TV. Features a balcony with views of the lake. Includes free Wi-Fi access and an LCD TV. 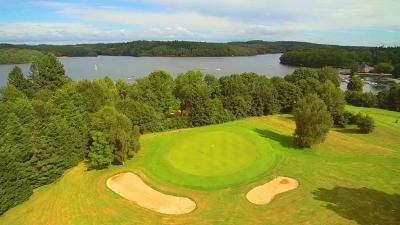 House Rules Logis Hotel du Lac takes special requests – add in the next step! 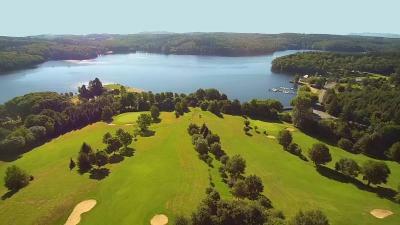 Logis Hotel du Lac accepts these cards and reserves the right to temporarily hold an amount prior to arrival. 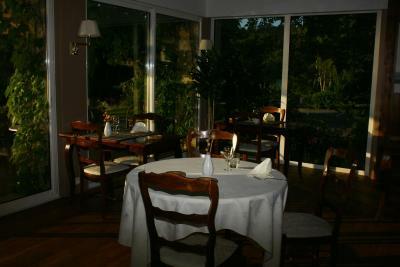 The hotel restaurant is open daily during July and August. In other months, the restaurant is closed on Sunday evenings and Monday lunchtime. The snack bar 'La Guinguette' is open everyday during July and August from 10:00 to 20:00. 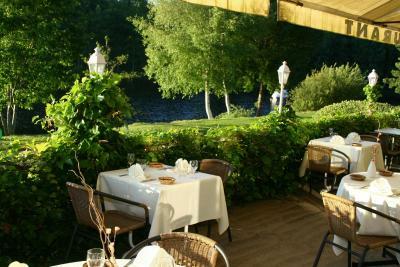 Hotel du Lac's restaurant is closed from the beginning of December until the beginning of April. 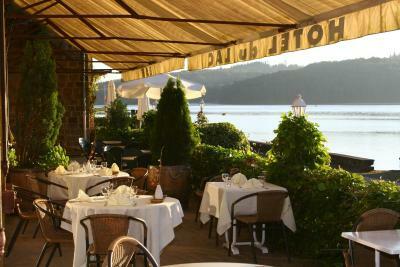 La Guinguette, the hotel's brasserie, which is located 350 feet from the hotel and next to the lake remains open. The bathroom smelt a bit musty. The teacups in the bedroom were tiny and had no handles. Switzerland in general is pretty pricey!! But gorgeous.